Second straight year without a State budget. As the end of fiscal year 2016 (FY16) approached, House Republicans filed a budget bill, HB 6585, to cover both FY16 “stopgap” expenditures and some urgently-needed FY17 expenditure areas. It would have appropriated badly-needed money to a wide variety of essential and job-creating state agencies and educational institutions, such as state universities and prisons. The appropriations contained in this bill were fully paid for from existing revenues. HB 6585 was filed by House Republican leader Jim Durkin on Tuesday, May 31. However, the majority House Democrats refused to hear Republican budget bills. To add to the chaotic scene in Springfield’s State Capitol on the final night of the 2016 spring session, the majority Senate Democrats refused to pass the $7.5 billion out-of-balance “budget” approved by the House Democrats. The supermajority party in the two chambers could not even agree on fake numbers for a massively-unbalanced spending plan for FY17, which will start on July 1, 2016. In an unprecedented failure to govern, the Democrat supermajority did not pass a state budget by the May 31st deadline. Entities that have been left waiting for more than 11 months for payment from the State were left in no doubt which party was at fault for the debacle. Illinois’ public schools were also left unfunded as Democrats left town, pointing fingers at each other. A series of special sessions are expected to be held in June for lawmakers to make additional attempts to reach a budget and policy compromise. Illinois Comptroller Leslie Geissler Munger has warned lawmakers that some state payments will end, and others will be delayed as long as eight or nine months, unless a budget deal that matches expenditures to revenues is reached prior to the start of the new fiscal year on July 1. Durkin files legislation to protect public education from budget fight. 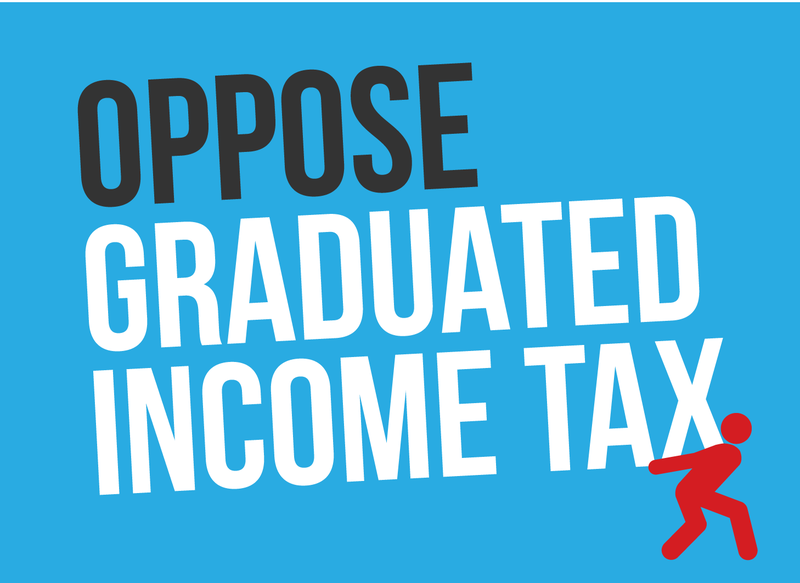 One year ago, House Democrats agreed in May 2015 to suspend the impact of the budget impasses upon Illinois public schools and their pupils. This was done by passing a bill that appropriated full funding for Illinois public schools in the 2015-16 school year while leaving the rest of Illinois state government to try to operate without a budget. While deeply flawed, this strategy protected schoolchildren, their parents, and educators from the worst consequences of the current budget impasse for one year. However, the 2015-16 school year is over and a new fiscal year will soon begin. 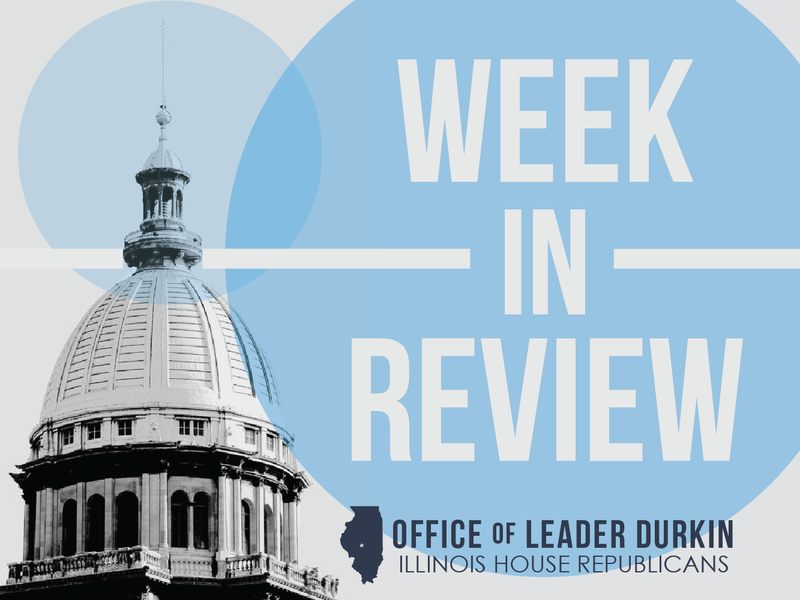 House Republican Leader Jim Durkin, with the support of many members of the House Republican Caucus, has responded to the current impasse by filing a separate bill to fully fund K-12 education in Illinois for FY2017. This strategy follows the one adopted in 2015. HB 6583 responds to discussions among many House members, including rank-and-file House Democrats, who have called for leaving schools out of the current budget crisis. The measure responds to changes in school attendance, school district equalized assessed values (EAVs), and school district maintenance of efforts. HB 6583 includes a $104.8 million “hold harmless” provision to ensure that all Illinois public school districts will receive at least 100% of their gross prorated 2015-16 General State Aid school aid in FY17. The Durkin measure parallels the bill voted for by most House Democrats in May 2015. One year ago, the Democrats were not willing to hold schoolchildren hostage in the ongoing budget fight. It remains to be seen if Democrats will hold Illinois school children hostage this year as they push for even more spending for Chicago. Enacting HB 6583 will mean that Illinois schoolchildren and their families can look forward with certainty to a school year starting in September. Cash-flow report by General Assembly oversight committee shows continued shortfall in revenues. The shortfall, which has grown significantly since January 2015, is a reflection of what is called the “structural deficit” of the State’s operating budget. This structural deficit is a component of the overall cash flow of the state of Illinois and its treasury, which is independently tracked by the Commission on Government Forecasting and Accountability (COGFA). COGFA, a nonpartisan arm of the Illinois General Assembly, works with Governor Rauner’s Office of Management and Budget (GOMB) and the Illinois Department of Revenue to track Illinois cash inflows and outflows. Even in times of comparative nationwide economic prosperity, Illinois does not collect sufficient taxes from its private-sector economic activity to meet the demands and commitments of its public sector. This shortfall shows up on the State’s books both in relation to actual cash outflow and in relation to the same flows of money in previous years. For example, COGFA’s cash-flow report for May 2016 shows that State overall base revenues dropped $266 million in the most-recently-concluded thirty-day calendar period in relation to May 2015. Repeated shortfalls of this type have built up the current backlog of unpaid State debts and bills, which Comptroller Leslie Geissler Munger estimated to be $6.9 billion as of Tuesday, June 1. In addition to this $6.9 billion official figure, additional debts represent bills not yet presented to the Comptroller’s office for payment, as well as commitments made by Springfield according to the provisions of statutory law but not yet formally billed to the State. Chicago demands various forms of pension relief. SB 777 rewrites and slows down the schedule that the City of Chicago must use to solve the problem of unfunded pension liabilities borne by Chicago police and firefighter pension funds. HB 813 demanded that state taxpayers contribute $205.4 million to Chicago teacher pensions. Both measures were sponsored entirely by Democrats. SB 777 was seen by opponents of the measure as a facet of Illinois’ longstanding policy of putting off pension payments, commonly referred to as a “pension holiday,” and pension reform for employees of state and local governments. This policy has helped lead to a point where Illinois has the lowest credit rating of any of the 50 states. Governor Bruce Rauner totally vetoed SB 777, but the veto was overridden by the House on Monday, May 30. Most House Republicans voted against SB 777. The motion to override the Governor’s veto was 72-43-2 (three-fifths majority, at least 71 votes, required). HB 813 and other Chicago teacher-pension bailout bills did not become law. House passes unfunded child care bill. SB 730 requires the State of Illinois, starting in FY18, to pay child-care subsidies for the care expenses of children with family incomes between 185% and 250% of the federal poverty level (FPL). Previously, families with incomes above 185% of FPL were not eligible for state-funded child care assistance under the Child Care Assistance Program (CCAP). The proposal was pushed by a SEIU, a union that has mounted a major effort to organize public-sector-paid child care workers. 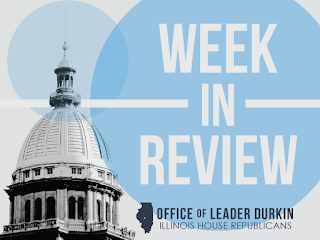 House Republicans pointed out that the measure would have a massive negative fiscal impact upon Illinois taxpayers at a time when the State’s budget is already billions of dollars out of balance. In FY17, the bill would impose an additional $200 million/year burden upon the State’s budget. In FY18 and following years, this fiscal impact would rise by an additional $500 million/year, to $700 million/year. SB 730, as amended in the House, was passed by the House by a vote of 70-46-0 on Monday, May 30. The Senate’s May 31 concurrence vote of 37-18-0 sent the measure to the Governor’s desk. Exelon announces closure of Clinton and Quad Cities nuclear plants. Exelon Corporation announced Thursday that it will move forward to shut down the Clinton and Quad Cities nuclear power plant, given the lack of passage of important Illinois energy legislation. Illinois’ 11 nuclear units and 6 stations produce 48 percent of the state’s electricity. According to Exelon, the Clinton Power Station produces enough electricity to power 1 million homes. The plant is the largest employer in DeWitt County, providing nearly 700 jobs at an annual payroll of $63 million and generating $13 million in tax payments. Illinois State Museum set to reopen on July 2nd; admission to be charged. After months of work and discussions to make sure the State Museum opens its doors, State Rep. Sara Wojcicki Jimenez applauded the announcement by the Illinois Department of Natural Resources (IDNR) that they plan to reopen the Illinois State Museum on July 2nd. According to the IDNR announcement, a proposal to charge a small admission fee for adults at the museum near the Capitol will be considered and hopefully approved at the June 14th meeting of the Joint Committee on Administrative Rules (JCAR). Children under 18 will continue to be admitted free. The approval of the adult admission fee will help fund museum operations and pave the way for the July relaunch. Representative Jimenez, along with State Representative Tim Butler this spring worked to pass legislation allowing the charging of the nominal adult admission fee to secure the museum’s reopening. Democrats push through bill to automatically register voters. 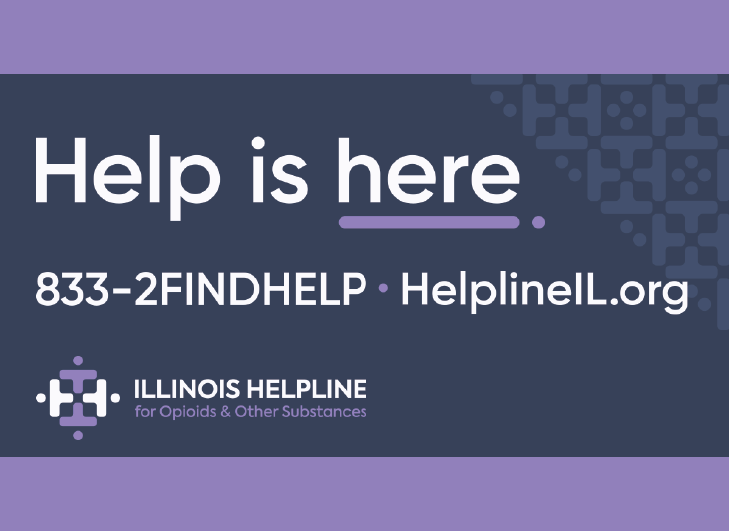 SB 250 designates certain enumerated State agencies, headed by the Secretary of State’s office, and directs them to use their contacts with Illinois residents to automatically register adult residents upon contact. Under this law an applicant for a drivers’ license or license renewal, who as part of the application process presents evidence that he or she is older than 18, would be automatically registered to vote. The new voter’s name would be automatically sent to the State Board of Elections unless the applicant specifically asked not to be registered. The House vote to pass SB 250, as amended, was 86-30-0. The Senate concurrence vote of 50-7-0 sent the measure to the Governor’s desk. Both votes were taken on Tuesday, May 31. UnitedHealthcare announces withdrawal of UHC-branded products from Affordable Care Act (ACA) participation in Illinois. The decision by one of America’s three largest health care insurers could lead to significant problems in the implementation of the Affordable Care Act, also known as “Obamacare,” in calendar year 2017 and beyond. Like other insurance firms that are withdrawing from ACA markets across the U.S., UnitedHealthcare blamed financial losses for the outcome of its decision. UnitedHealthcare sold ACA-compliant policies in 27 Illinois counties for periods through 2016. Existing patients will continue to be covered by UnitedHealthcare through the end of the calendar year. A nonbranded subsidiary of UnitedHealthcare, Harken Health, will continue to sell health plans on the Illinois ACA marketplace in 2017. However, Harken has positioned itself as a non-conventional “boutique” health care and insurance firm, and many patients will not find the names of their longtime doctors on Harken’s Illinois provider directory. For many Illinoisans, participation in the ACA insurance marketplace is required by law and nonparticipants are subject to fines and penalties. The State of Illinois operates a webpage, “Get Covered Illinois,” for persons who need to try to find new health insurance policies. The next ACA open enrollment period will start on November 1, 2016, and will end on January 31, 2017. House extends life of medical cannabis pilot program from 2018 to 2020. SB 10 makes other changes intended to help the medical profession and some patients. The bill will allow patients with post-traumatic stress disorder (PTSD), and patients with a terminal illness diagnosis of 6 months or less, to seek permission to use medical cannabis. It ends the requirement that a physician explicitly recommend that a patient take medical cannabis, and replaces this with a new authorization to physicians. Under the new law, a medical professional will simply certify a diagnosis that a longtime patient has a condition that has been approved for medical-cannabis use. As amended, patient’s registry cards shall be good for 3 years, rather than 1 year. The bill removes the fingerprinting requirement for patient card renewal. Approximately 6,200 Illinois patients currently hold medical cannabis cards. Possession of a card gives a cardholder the right to enter an approved dispensary and purchase medical cannabis. Because of the lower burdens placed upon physicians by this bill, the Illinois State Medical Society (ISMS) supported SB 10 as amended. The House and Senate votes to pass this bill were 86-27-1 (House) and 50-7-0 (Senate). House Republicans defeat override attempt on AFSCME arbitration bill. In what was perhaps the hardest-fought partisan issue of the 2016 spring session, Democrats attempted twice to override Governor Bruce Rauner’s veto of HB 580, a bill to move the ongoing process of State labor-management relations away from the normal legal process followed in cases of contentious public-sector contract talks. The measure was highly relevant to the state government’s largest labor union, AFSCME, which has not accepted various contract offers made by the Rauner administration. 18 other unions and labor entities have accepted contract offers made by the Rauner administration, but AFSCME has not. HB 580 would have moved these State-AFSCME contract talks into “mandatory arbitration” under a process slanted in favor of organized labor. Governor Rauner vetoed the bill, and House Republicans unanimously opposed the measure. Under House rules, the lead sponsor had the right to offer two separate motions to override the Governor’s veto. On Wednesday, May 25 his first motion lost, 69-47-1. He offered the same motion a second time on Tuesday, May 31, and lost again. The vote this time was 68-49-1. In opposition to the measure, House Republicans argued that the General Assembly should not be inserting itself into the collective bargaining process, a process that was clearly laid out and agreed to by both sides in the tolling agreements that were signed last year. HB 580 would have forced interest arbitration, making negotiations an “either or” proposition on each point of contention. This “all or nothing” arbitration is bad public policy for a public sector union that costs taxpayers billions annually in payroll and health care costs. AFSMCE and the Governor need to continue negotiating in good faith to bring about a resolution to this issue. It is fundamentally wrong to change the rules in the middle of the game. Mosquito bearing the West Nile virus gathered in Glenview. The mosquito-borne virus can cause fever, nausea, and headaches. In rare cases, West Nile virus infection can cause the death of a human being who has been bitten by an infected mosquito. As with other mosquito-borne illnesses, the West Nile season coincides with the months of summer and early fall. In 2015, 77 cases of West Nile were reported in Illinois, including nine deaths. Public health officials urge Illinois residents to take standard precautions against biting insects, including the use of mosquito repellent and the remediation of places of standing water on public or private property. The infected Glenview mosquito was collected in the final week of May.